Virginia-based Evatran has been perfecting their Plugless Power electric vehicle charging system since the company was founded as a subsidiary of MTC Transformers in 2009. Now, with the recent announcement that it has reached an agreement with Sears to install the system in consumers' homes, it looks like the company is ready to take its induction charging system big time. According to the agreement, Evatran will offer Plugless Power systems with home installation wrapped into the purchase price of the equipment; this price may also be included in the vehicle purchase or lease at the time of sale. Once a Plugless Power system is purchased, Sears will receive automatic notification of a customer's installation request and wil then contact the customer within one business day to schedule home installation. In addition, Sears will offer ongoing service and maintenance to Plugless Power owners. 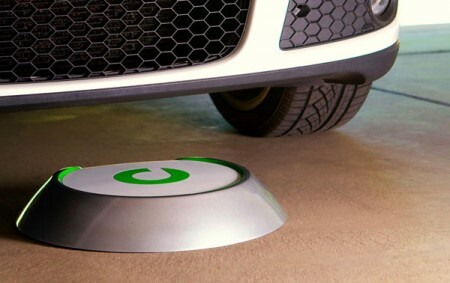 The company said that the rollout and installations will begin in 2012 for Nissan Leaf and Chevrolet Volt models. Pricing wasn’t released for the installation services, but the company noted that it would be based on the customer’s home and current electrical service.